Team Dental may determine that you need a tooth extraction for any number of reasons. Some teeth are extracted because they are severely decayed; others may have advanced periodontal disease, or have broken in a way that cannot be repaired. Other teeth may need removal because they are poorly positioned in the mouth (such as impacted teeth), or in preparation for orthodontic treatment. 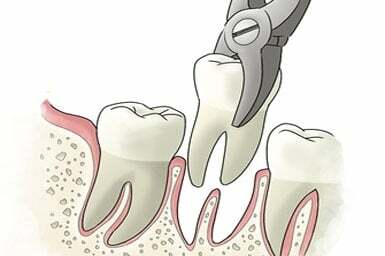 To avoid these complications, in most cases, Team Dental will discuss alternatives to extractions as well as replacement of the extracted tooth.